The Paddlok system has been around for some years giving excellent, reliable service, but eventually, everything in life grows old so just in case your Paddlok buttons give out before you do, our spare buttons can quickly and easily replace them. Fixing the paddler is a lot harder! The Paddlok system enables a fully modular paddle which opens up the possibility of mixing and matching blades and shafts and allows the paddle to be broken down for transportation and affordable shipping. No other paddle on the market can offer you so much versatility and flexibility. The Paddlok system comes in two sizes, one for the Standard diameter shaft and one for the narrow shaft. The button fits into a spigot on one side of the joint. When joining the paddle, you slide the spigot into the shaft and locate the button in the hole. On Switchlok joints the button only locates in the button hole on the preset standard feather, when setting optional feather angles you access the Paddlok button through the Switchlok slot. Using a Paddlok key, you turn the key expanding the joint. This locks the spigot and shaft together. This Paddlok system is used for 4pc Paddles and the Vari Paddlok centre joint, Switchlok centre joint and Paddlok centre joint. Celtic paddles are strong and robust, but more importantly, the Paddlok system is designed to provide a reliable long life. The joints are designed to compensate for wear over the life of the paddle which ensures many years of wobble-free paddling. The buttons are made from a tough hard wearing plastics and stainless steel. They are easily and simply replaced, and spare parts are readily available from us. 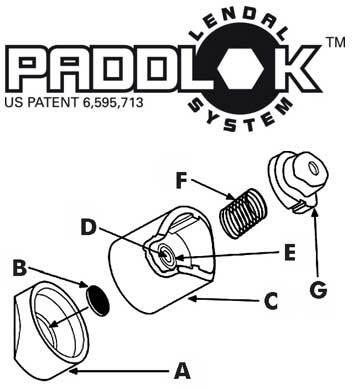 If you loose your Paddlok key, a simple 3mm Hex key can be used to operate your paddlok system. After use in salt water, it is recommended to flush the buttons and spigots with fresh water to prevent salt crystal accumulation. 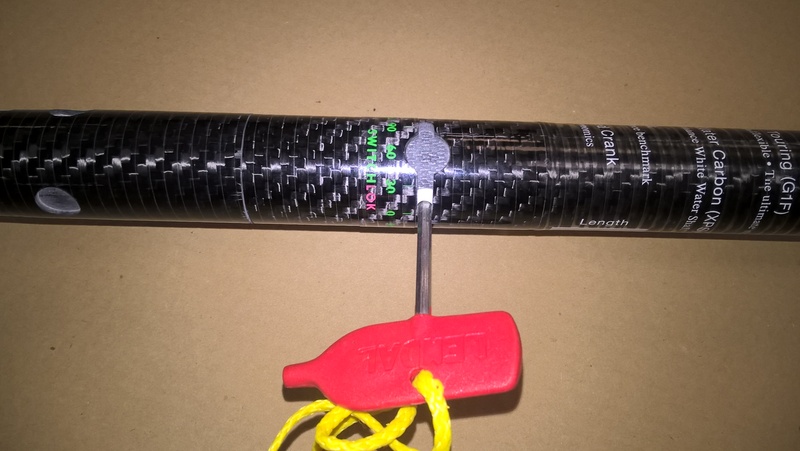 Do not overtighten; only gentle pressure is required to lock your paddle blades and shafts together. To replace a Paddlok button insert the key and loosen the joint. Push the button inside the shaft and using a thin screwdriver or similar object inserted into the slot cut out on the spigot. Push the paddlok until it pops out of the shaft, you may wish to place a plastic bag over the end of the shaft to catch the parts of the button which will spring apart once released from the shaft. To fit new button, compress the paddlok and insert into spigot and poke down the shaft until the button pops out of the hole. In the event you over crank a paddlok button by overtightening until it no longer operates, the button can is removed be carefully drilling out the centre of the button with a small diameter drill. Step 2 - push the button into the shaft and at the same time using a thin object such as a knife blade or lolipop stick inserted into the spigot slot, push the old button out of the spigot shaft. Step 3 - insert your replacement button and push down until the button engages with the button hole.